Bed-in-a-box pioneer Tuft & Needle recently unveiled a brand new bed exclusively for Amazon. 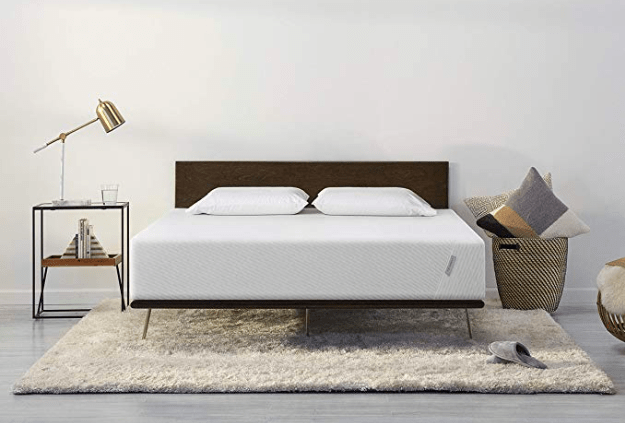 Though the Nod shares a lot of characteristics with T&N’s other two mattresses (namely its all-foam construction and relatively cost-effective price point), it’s the only one that’s been designed specifically for an outside company, and will add to Amazon’s growing collection of direct-to-consumer mattresses. Amazon’s new focus on the bed-in-a-box space started in earnest this past October when it launched two of its own beds: the budget-friendly AmazonBasics as well as the premium Amazon Rivet. Currently, the Nod is the only one powered by an online “disruptor” like Tuft & Needle. Similar to Tuft & Needle’s other mattresses, the The Nod offers a 100 night sleep trial, and is backed by a limited 10-year warranty. It’s designed to fit most bed frames, and comes in a variety of sizes which range in price from $275 to $495. This Amazon mattress exclusive marks yet another expansive step by Tuft & Needle, which merged with bedding giant Serta Simmons earlier this year. With industry vets like Serta Simmons partnering with industry disruptors like Tuft & Needle, the new move into Amazon begs the question: is the whole bedding industry ready to prioritize e-commerce? Forming ties with a popular online retailer like Amazon is bound to boost competition among mattress companies. As the race for a bigger slice of the bedding business rages on, so does the pressure to keep up with bed-in-a-box brands that operate exclusively online, as evidenced by Mattress Firm recently filing for bankruptcy. As the ever-expanding business of bedding comes to rely more heavily upon e-commerce, one can’t help but note the uptick in established storefront retailers wanting in on the online action. Perhaps Amazon’s teaming up with Tuft & Needle signifies the start of an industry trend wherein direct-to-consumer retailers unanimously blend both online and traditional spaces.